Can someone point me in the right direction on some great items to use to brew tea? Most likely a setup that is a Infuser that dumps into a mug? did I say that right? Well if you're looking for different options, there are several I can think of off the top of my head. For loose tea, you have the infuser. There are several styles, but the one I like is like two little colanders on a spring, they clamp together and hold the loose tea. Then you have the standard teapot. Then you have the samovar, which you brew a really hyper-concentrated tea inside, then pour it in your mug and add hot water to lighten the brew to taste. I use something like this for single cups, or a large wire mesh tea ball to do a whole pot. The buddy J pictured is the one I prefer. Is something like this any good? Most infusers will do the job, depends really on the occasion, i.e tea-party, after dinner, or sat in front of the tv. 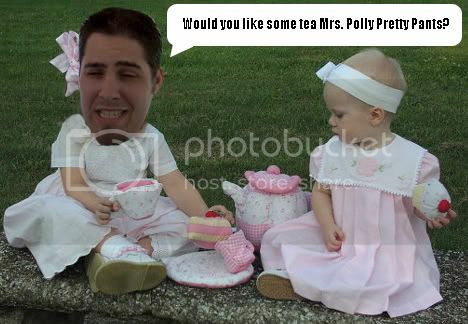 OMG Sledge have a tea party, please. And take pictures. I drink a ton of tea, I just fill a large pitcher from hot water(hot tap, why not?) and then drop the tea bags in with the string hanging over the side so I can put the lid on and let it sit for 30 minutes. Viola. Nothing special. I got SICK of waiting on boiling water, I just wanted to "set it and forget it". I don't have to worry about forgetting to turn anything off... and if I forget to go get my tea after a couple hours it ain't "burned" or simply evaporated. But usually I stick with just the instant green tea mixes now'a days. Buddy J is my hero! @Cannonfodder and I are looking for suggestions for non-caffeinated (a travesty, I know) tea options to drink late at night. As it gets rather cold here in the frozen tundra, it's often nice to have a warm mug of tea waiting after walking the sled dog. The current choice is Stash Lemon Ginger tea, but that was chosen more for it's affinity to hot toddies than of any personal preference. You can decaffinate any tea yourself. Since 99% of the caffeine brews into the water in the first 20 seconds of brewing, you can just brew the tea for about 20-30 seconds, then dump that water and brew new. It might make the final cup also a tiny bit less sharp in flavor (some people prefer it that way), but unless you're brewing a white or cream tea, the amount of flavor you lose doing this is unnoticeable. In fact: If you're making a decaff tea, it usually means that they've just done this step for you already, then redried the leaves. My input is that BirdPick is pretty much the business. @teramona probably knows about this place, it's in Pasadena. They also have fruit and flower based teas which may or may not have caffeine to begin with. I don't know. @basil ? Pretty much what CB said, but I would also suggest any and all herbal teas. They're not technically tea (they don't come from the tea plant), but they serve the same purpose. Chamomile is pretty good. 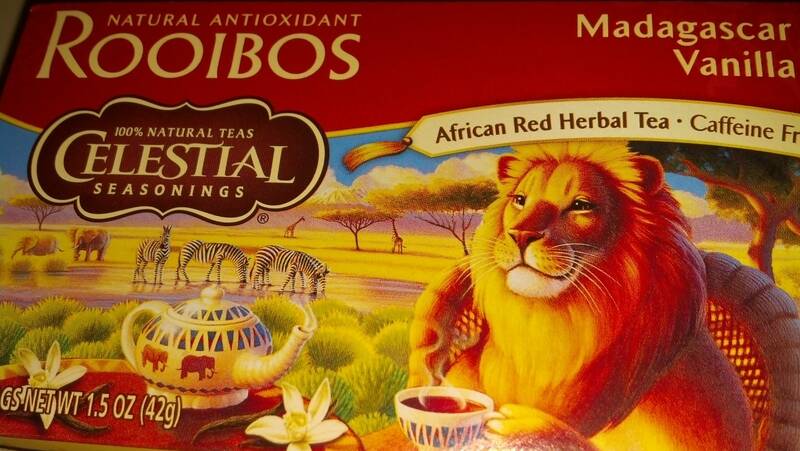 If you're looking for a big variety to start of with, Celestial Seasonings is all decaf as far as I know, and they also have a big selection of teas specifically for nighttime when you're getting ready to go to sleep. Also, a lot of the time green tea has a lot less caffeine in it than black tea. I believe it has to do with the way they dry the leaves. The only problem with "decaf" tea, is that all tea has at least a little bit of caffeine. So if you're drinking a true tea before bed (as in, from the camellia sinensis plant), I wouldn't have more than a cup or two of it, especially if you're particularly sensitive to caffeine. Also, also... I love tea. This thread is great, thanks for tips. All my favorite Twinings teas come in decaf variety. Decaf English Breakfast is particularly easy to find, but Irish Breakfast is my usual go-to tea and I've seen that as well. Also remember most tea has something like 1/3 the caffeine of a cup of coffee, so you may not be ingesting as much caffeine as you think. Personally, 1 cup has negligible effect on me. @mertsen - I feel you. No caffeine for me after about 4pm; otherwise I can't sleep. I'm super sensitive, but somewhat perversely still need a cup of coffee in the morning to make me able to function in polite society. This lion made me happy today. @CannonFodder, You'd have to be soulless for that lion not to have made you happy. I feel you...I can't sleep...I'm super sensitive,...perversely need me...n.
Sorry for threadcrap. Hi all. @CannonFodder Glad you like it I haven't tried that particular blend, but I loves me some Rooibos. Loose full leaf tea in the bottom of a mug (Chinese style). I usually rinse the leaves, fill the mug with hot water and dump. This lowers the caffeine level and removes any fine particles. Sometimes I mess with a tea pot and strainer and all of that, but not most days. I don't use any tea that isn't full leaf. I have 5 different varieties above my desk now. All tea (real tea) comes from the same plant, the variables are the soil and growing climate, when it is picked, and how the leaves are dried and/or fermented after picking. Green teas that are picked young have very low caffeine levels (Dragon Well Longjing, great tea but expensive).